Waked by this morning, saw doors wide open and it looked like construction was imminent. 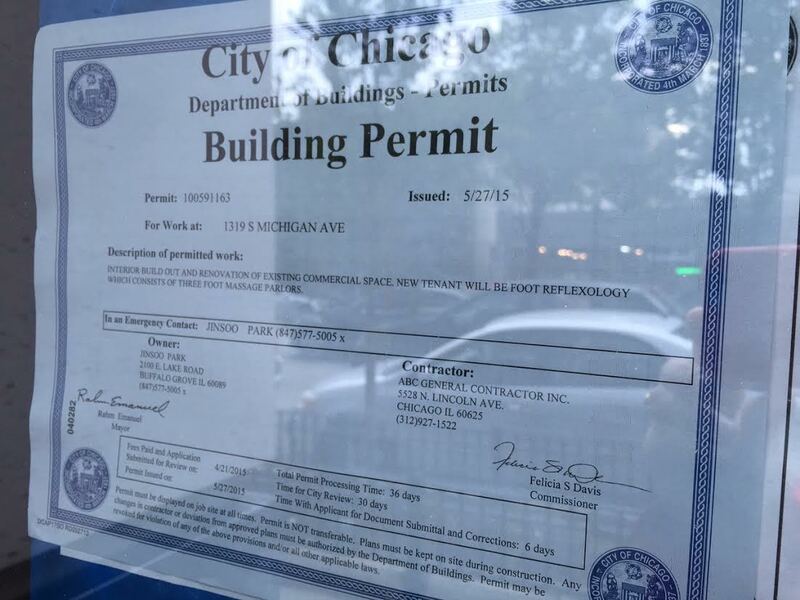 Then I noticed the permit for a foot reflexology parlor. When we first saw this we assumed this was the DQ Luxury foot spa at 9th and Michigan relocating down the street. We know people in the Sloop like to be pampered, but is there really a market to support two foot spas (not to mention all the pedicure places)? But then again, what do we know. Since this has sparked our curiosity, we at some point intend to try one of these places out.